Let Kids Play Math and be smarter, Every Smart Should love Math! 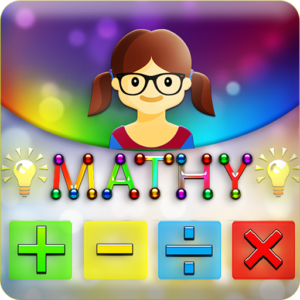 WALAAONLINE built the Math For Kids Mathy app as a Free app. This SERVICE is provided by WALAAONLINE at no cost and is intended for use as is. For a better experience, while using our Service, I may require you to provide us with certain personally identifiable information, including but not limited to Location, Age, Internet Access, Name and Email for Social Leader board, google play services Leader board . The information that I request will be retained on your device and is not collected by me in any way.